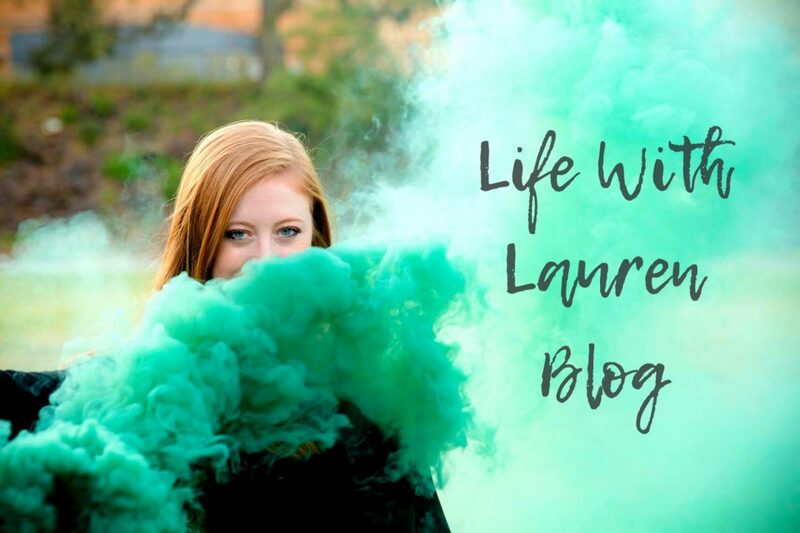 Life with Lauren Blog – Welcome to Life with Lauren. This is a lifestyle blog featuring everything from post-grad experiences to travel and fashion. Thanks for stopping by! I actually (kind of) HATE Valentine’s Day. To be blunt: a lot of this day brings out the worst in us. It makes us feel like we have to show off what gifts we received like that somehow equates to how worthy we are of love. And if our significant other doesn’t purchase something for us then that means they aren’t a suitable partner?.. okay. I know this may sound dramatic. To be clear, I would never ever turn down a gift from Chase on this special Thursday. BUT I will never ever be upset if he does not purchase an item for me on a day when society tells him he HAS to. Let’s be real, what is romantic about someone doing something for you because they feel like they have to. Um, not much in my opinion! At the end of the day, coming home to a freshly cooked dinner or chocolates on a random Monday means x100 more than mass commercial goods on a day when marketers sell us on a false idea of love. At its core, the message behind Valentine’s Day is great! Love and celebrate those in your life you mean the most right?? I’m not trying to sway people into disliking this day meant for love. Instead, I want to tell people that you are special whether you’re single or not. Don’t let a relationship define you. Don’t let others opinions of you define you. And most importantly, realize that you are the only one in charge of your own happiness. And if your boyfriend didn’t buy you roses at the last minute he’s not a terrible partner. I have seen too many girls caught up in the comparison game of he got me this, etc. The truth is that you are beautiful, unique, and worthy even if you receive nothing at all on this day. So, have fun getting dressed up and boujee for no reason! Remember, don’t let anyone dull your shine. Do you find yourself questioning long-standing traditions too? Even if they are in your favor? Honestly, it’s so much harder to keep up with a blog when you’re not in school anymore. In college, it was so easy to add “write X blog post” as a line on my to-do list when I had so many assignments to work on along with it. Writing blog content was an activity I looked forward to as a break from academic writing and a way to express myself creatively. Sadly, I’ve drifted away from that and am hoping to write at least one post a month this year. Who’s going to keep me accountable? I’ve had a few people (with a puzzled look on their face) ask me why I am working in fashion since I majored in public relations. Well, I have a few things to say about this, but the main one is to not box yourself in! The truth is that I use writing skills, speaking techniques, and countless other skills from my degree at my job every day. Sure, we all grow and change interests but we shouldn’t hold ourselves back from exploring different options. There are a lot of tips I could write about that I’ve learned in training as a Stylist and with working with so many different clients but I will just start with this. I started building a capsule wardrobe for myself in the last year and it is so much easier to get dressed in the morning! What is a capsule wardrobe you may ask? It can be defined as investing in quality and timeless pieces while getting rid of/ stop buying trendy pieces. If anyone needs help with this, I’m your girl! Even though it may not look like it, I have experienced heartbreak, defeat, and loss of creativity in the past year just like everyone else. “50 percent of happiness is genetically predetermined, while 10% is due to life circumstances, and 40 percent is the result of your own personal outlook,” according to Psychologist Sonja Lyubomirsky discusses the “happiness set point,” in her book, The How of Happiness. This just proves that at the end of the day we are just as happy or sad as we decide to be. What are you doing to keep yourself accountable for this year? I have a feeling 2019 is going to be BIG!